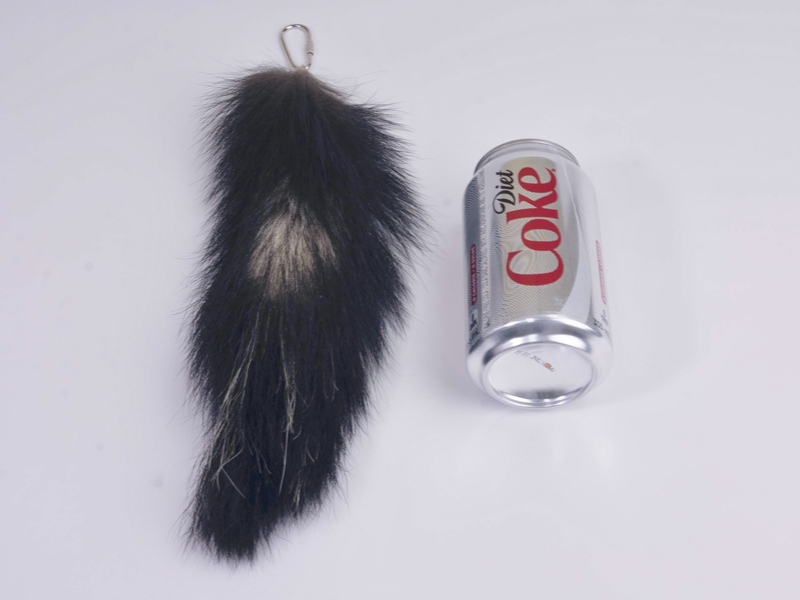 These are tanned skunk tails attached to metal keychains. They may have a bit of aroma to them, but they do not smell much. 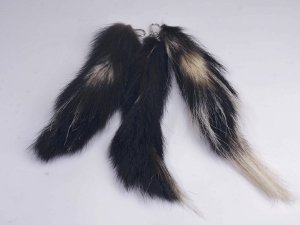 They come in assorted sizes, measuring about 23 to 26 cm long, and about 4 cm wide.